From Larry Steele of Olney Springs, Colorado on 3/1/2018 . Fast shipping & will buy again! 4/1/2015 – how long will the MTF filter last for 2 people. Response From Healthnut Samson A&B Health Wholesale: Much depends on how much water you drink and the condition of your water source. Higher TDS will shorten the life. 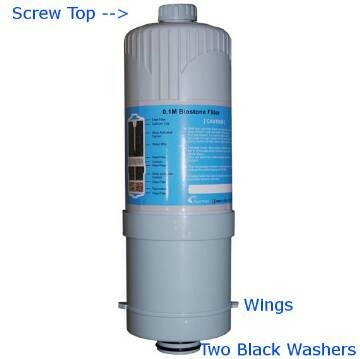 Generally speaking the filter lasts for about 1200 - 1500 gallons of water. Or, generally, the filter should be changed once a year.